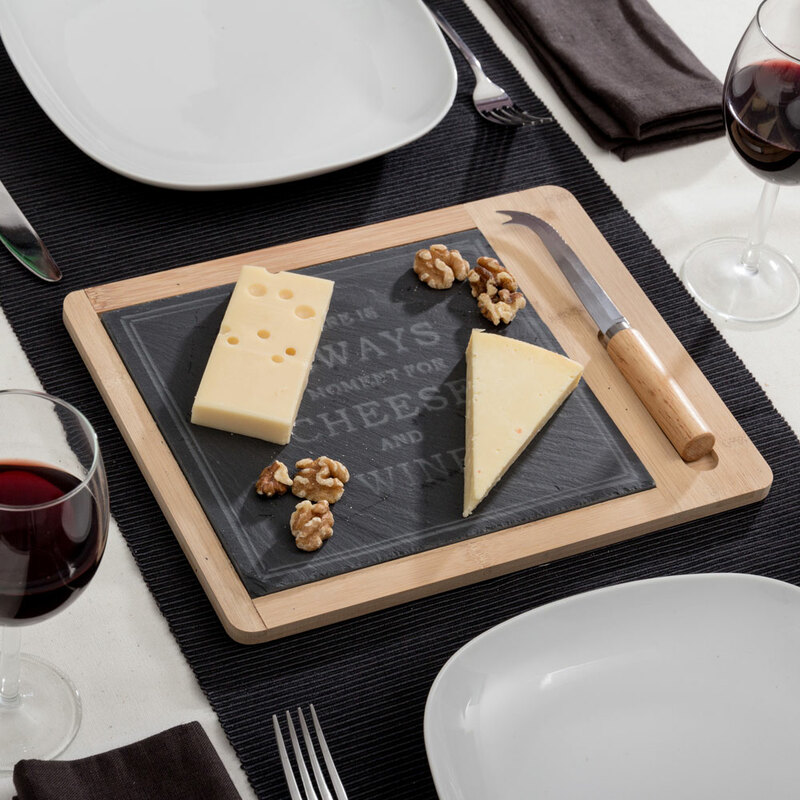 The TakeTokio bamboo cheese board with slate (2 pieces) is ideal for serving the most delicous cheese on the slate surface (approx. : 22 x 20 cm). 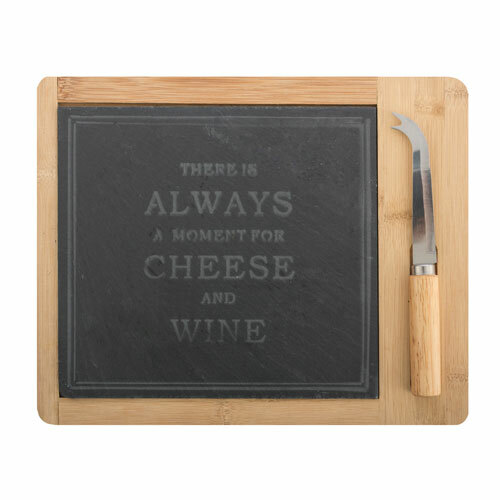 It features 1 cheese knife (approx. : 2 x 2 x 19.5 cm, handle included). It features anti-slip feet and a slot to support the knife. Approx. dimensions of the bamboo tray: 30 x 1 x 24.5 cm.